The Desert By Ryan Bailey. 2 What Is a Desert? 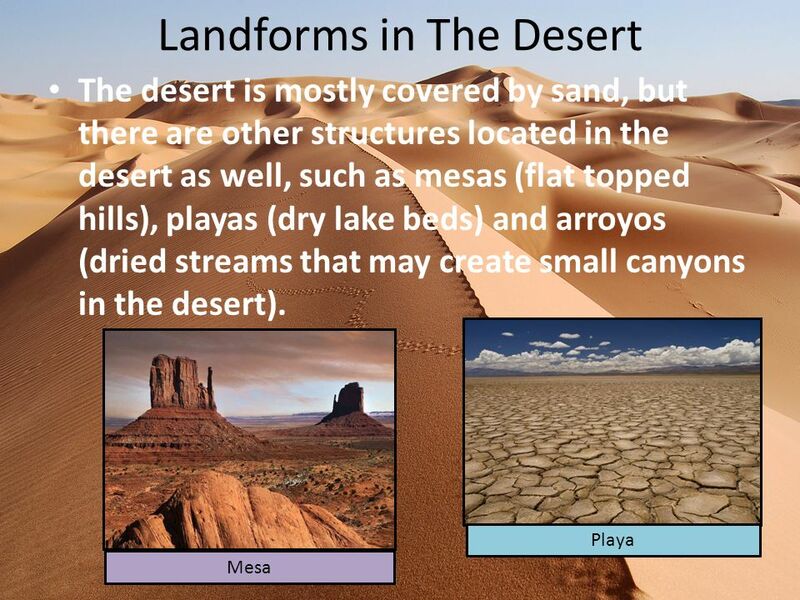 A desert is a region of land that is extremely dry and sandy due to the lack of rainfall. 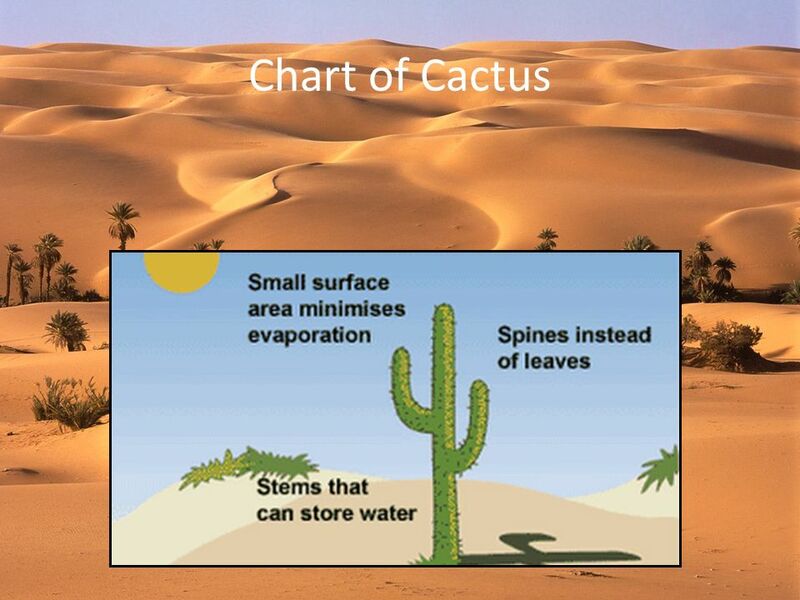 Only plants and animals that are very well adapted to the dry climate survive here. 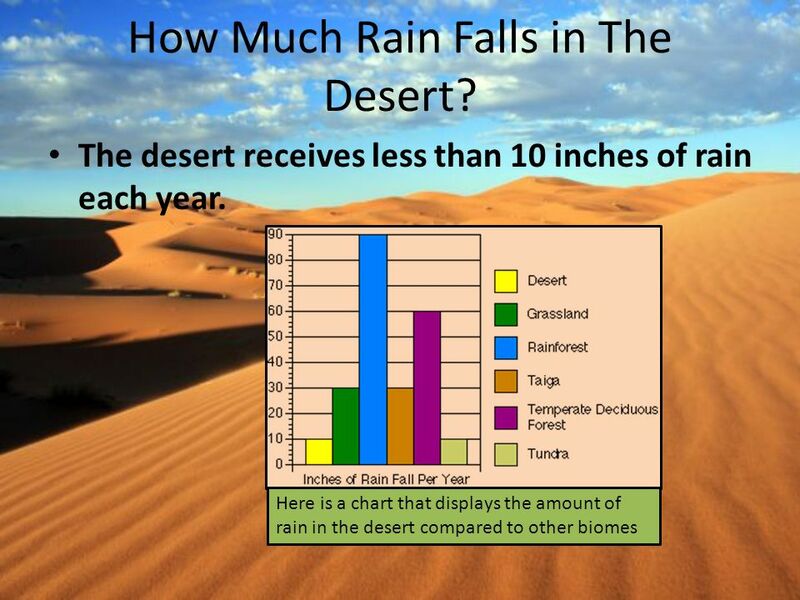 7 How Much Rain Falls in The Desert? 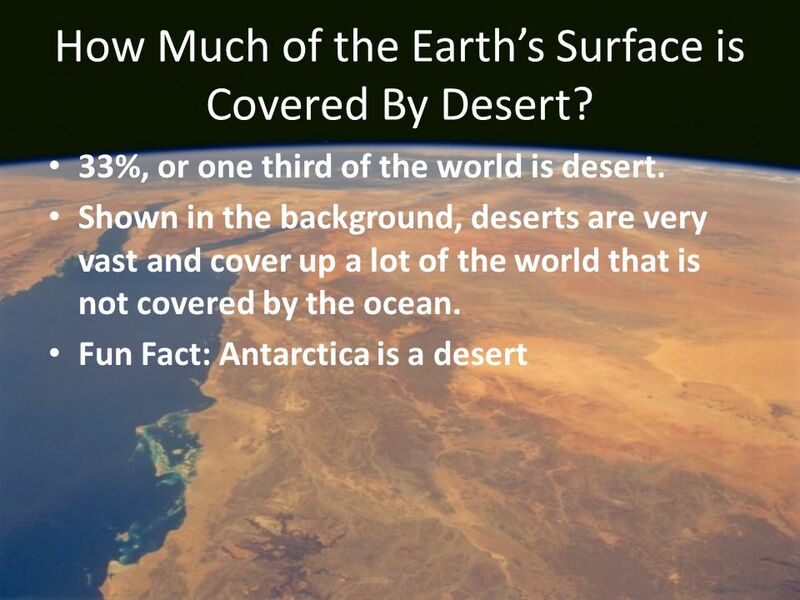 8 How Much of the Earth’s Surface is Covered By Desert? 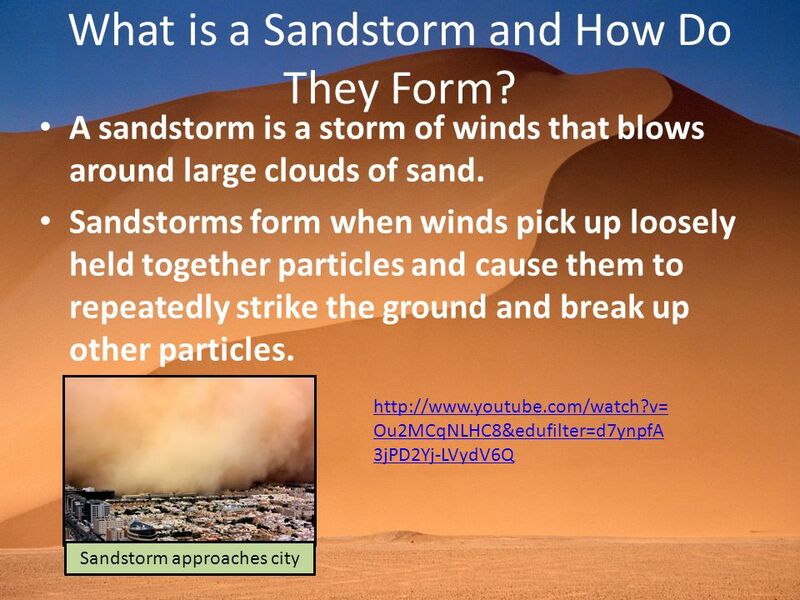 10 What is a Sandstorm and How Do They Form? 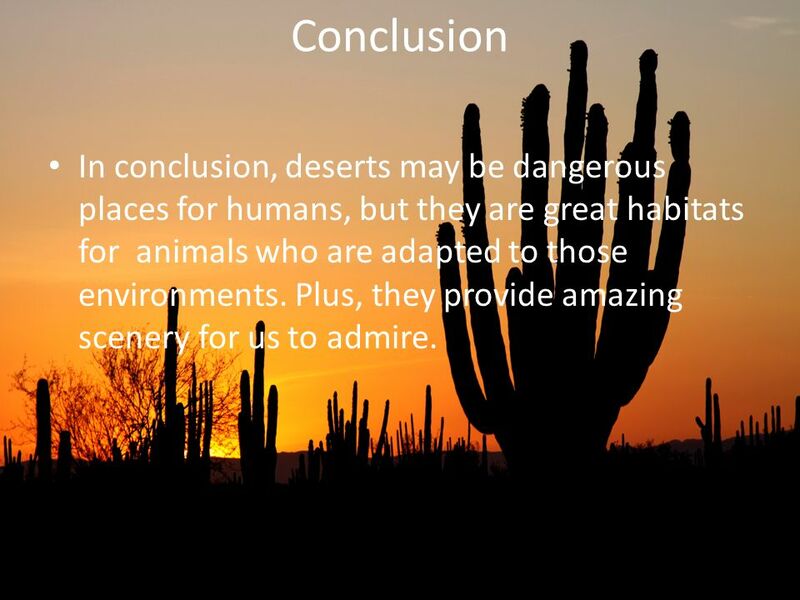 12 Conclusion In conclusion, deserts may be dangerous places for humans, but they are great habitats for animals who are adapted to those environments. Plus, they provide amazing scenery for us to admire. 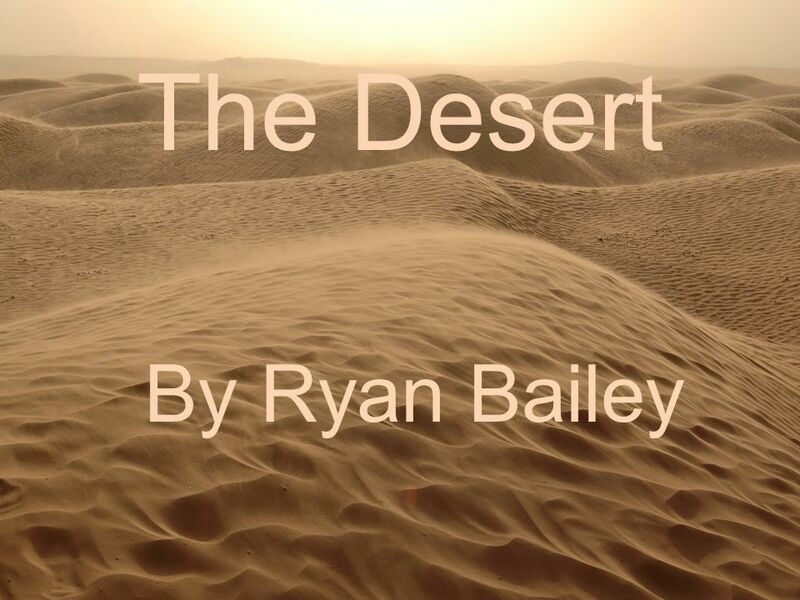 Download ppt "The Desert By Ryan Bailey." Wind Chapter 8, Section 3. The Dry By Alison Carrier and Amanda Campos Lots of Location Deserts on Earth are located between 30 degrees latitude north and 30 degrees latitude south. Climate On Earth. Come let’s now find out more about The Desert Region. Desert Biome By: B.B To: Mr. B. Mac Neil Date due :April 19,2006. HOT AND DRY WEATHER: THE SAHARA DESERT!. 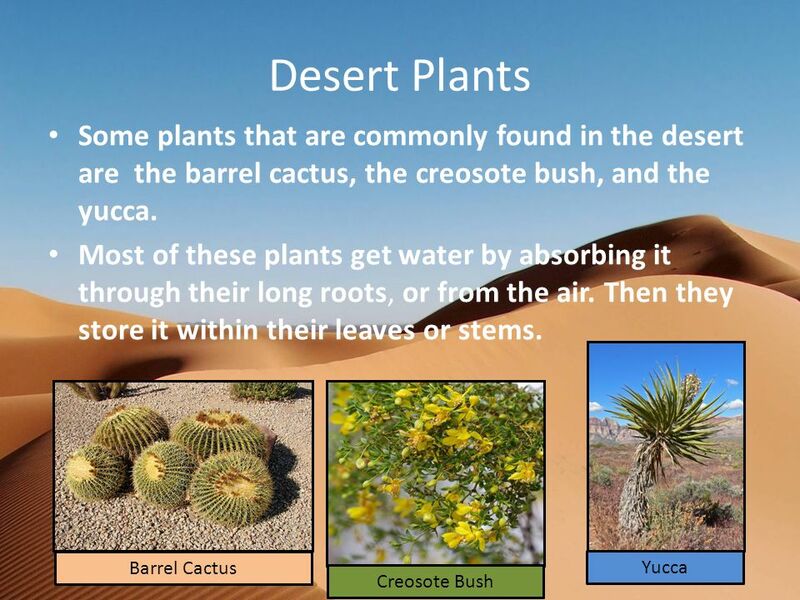 Desert Biome Jack, Kendall, Lindsey, Greer. 1. 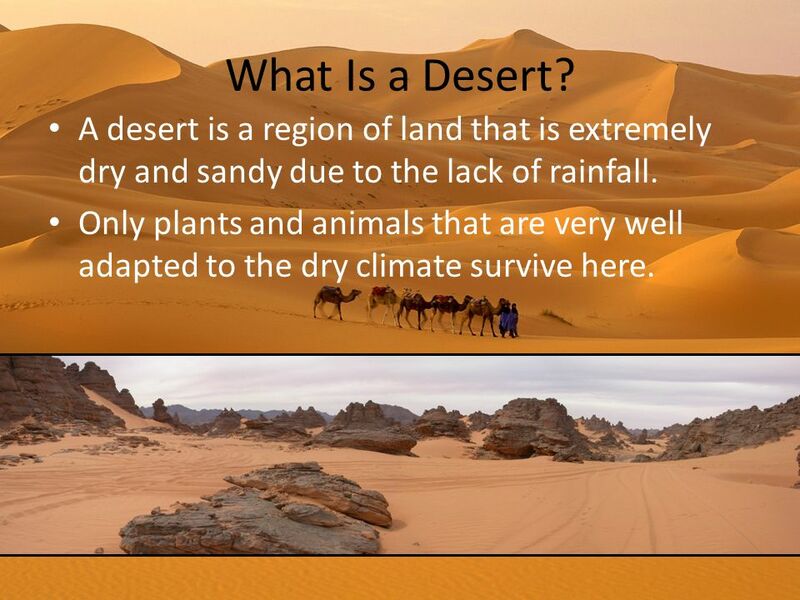 Arid Environment One environmental problem is that the desert has an arid Environment. An arid environment. Biomes By: Zeus Duenas. What is a Biome? 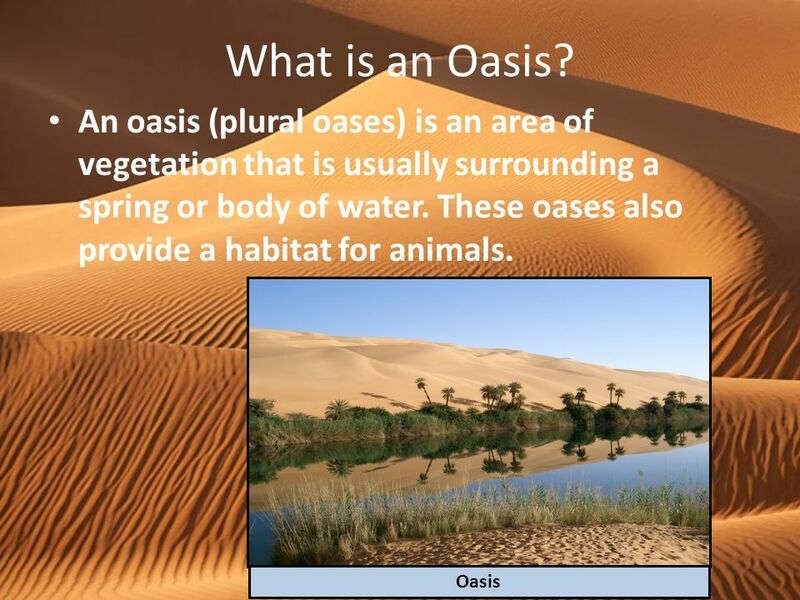 A Biome is a region of Earth that has a particular climate and certain types of plants, animal, and soil organisms. By Zak MacMurray, Jakob Conn, Josh Brown, and Connor Gagnon. Water, Climate, and Vegetation. Earth’s Water Water covers about 70% of the Earth’s surface, most of it is saltwater. Some areas never have enough water. Deserts What is a desert? 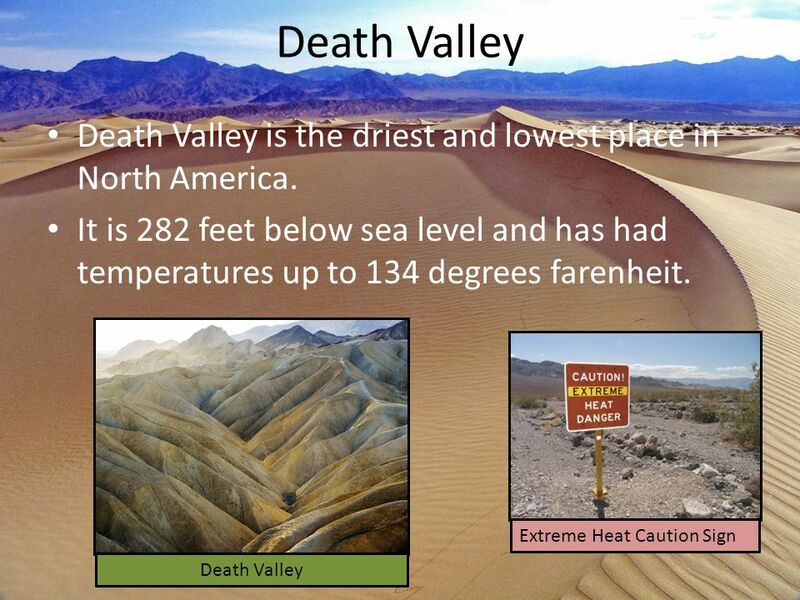 The desert is a land of extremes: extreme heat and extreme dryness; sudden flash floods and cold nights. Because deserts are. 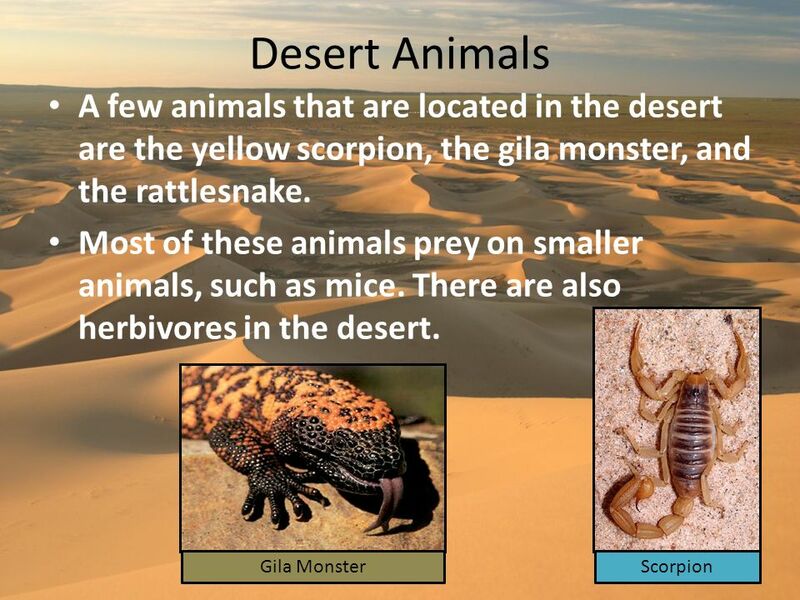 By : Sebastian Arizpe A sand dune in the desert Less than 50 centimeters of rain a year Very dry Very hot Little plant and animal life The desert.